December 2013 | Matcor, Inc.
As a result of increased drilling speeds, companies operating horizontal directional drilling sites in the Marcellus Shale region are drilling bigger wells more efficiently and affordably, and are producing more natural gas than ever before. “Since I came up here three years ago, it’s 200 percent better,” said David Dewberry, who manages a Lycoming County drilling site in Pennsylvania’s Loyalsock State Forest for Seneca Resources Corporation, the exploration and production segment of Houston-based National Fuel Gas Company. When Dewberry started working in Pennsylvania’s Marcellus Shale in 2010, the oil and gas industry veteran said it took him more than a month to drill a natural gas well. However, improvements to horizontal directional drilling equipment and processes have cut drilling times significantly. According to Dewberry, a new 2 1/2-mile well project that began on Dec. 4 will be completed in just 16 days. When that’s done, his rig will crawl 20 feet and begin drilling another well, in an assembly-line fashion known as pad drilling, until nine wells are completed on the site. “We’ve become so much more efficient,” Dewberry said. Greater drilling efficiency in the Marcellus Shale region has not only yielded longer horizontal wells in shorter times, it’s meant fewer rigs are required to meet, and even exceed, the previous pace of drilling and natural gas extraction. In fact, the U.S. Energy Information Administration has officially recognized that drill-rig counts are an obsolete measure of output. The administration now relies on drilling speed and production as a way to quantify efficiency. Of course, an increase in drilling efficiency means more wells are being constructed. And that means companies performing horizontal directional drilling need to invest more in cathodic protection for wells and pipelines, according to Nick Judd, director of field operations for MATCOR, a Pennsylvania-based company that specializes in cathodic protection products and services. “Marcellus Shale Drilling Becomes More Efficient,” The Philadelphia Inquirer, December 16, 2013. More than $22 billion will be spent to build over 23,000 miles of pipeline in North America between 2014 and 2020, according to a recently updated pipeline construction report. 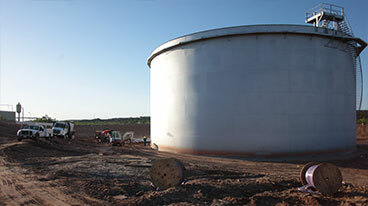 The third-quarter 2013 update of the North American Onshore Pipeline Database Service, by Douglas-Westwood, an energy research group based in Faversham, England, also catalogued the planned construction of over 1,000 miles of pipelines transporting Permian crude oil from the Bakken Shale region. The Bakken pipelines will enable Bakken Shale oil and gas companies to meet the logistical challenges of transporting crude oil from the remote shale region, which encompasses parts of the United States, including North Dakota and Montana, and Canada. Because of North Dakota’s short construction season, hard terrain, and distance from the Gulf Coast, rail transportation and natural gas flaring by Bakken Shale oil and gas companies has boomed in recent years. However, the report estimates that the planned Bakken pipelines will further lower the current Bakken discount compared to WTI, which has hovered around $5 for most of 2013, and diminish the cost competitiveness of rail. 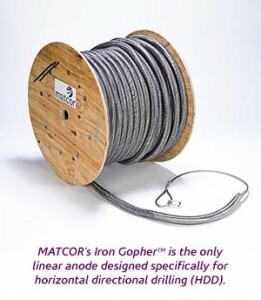 “While the capital cost of pipeline installation can sometimes be difficult to justify when compared to rail, a pipeline cathodic protection system can help companies control associated maintenance and repair costs,” said Jeff Didas, who works as a pipelines practice lead for MATCOR, a Pennsylvania-based cathodic protection management company. One such area, the Utica Shale, has lagged in production to date compared to other major shale plays but is expected to spike soon, due in part to pending developments in pipeline construction and capacity. 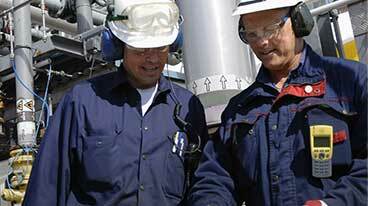 “Shale-Driven Pipeline Expenditure to Hit $22B Before 2020,” Oil & Gas Financial Journal, December 12, 2013.